National Aeronautics and Space Administration (NASA) claimed to have received permission to assemble a spaceship that is designed for the collection of samples from an asteroid mission and bring the samples back to Earth. Clarity to build spaceship named Origins Spectral Interpretation Resource Identification Security Regolith Explorer (OSIRIS-Rex) was announced on Wednesday, April 9, 2014, after a successful Mission Critical Design Review (CDR) for NASA’s Origins Spectral Interpretation Resource Identification Security Regolith Explorer (OSIRIS-REx). The CDR was held at Lockheed Martin Space Systems Company in Littleton, Colo., April 1-9.. The independent bodies which are consists of the members of NASA and several external organizations. "This is the final mission of NASA and the beginning of the plan into a product." said OSIRIS-Rex Program Executive in a NASA official statement, as quoted by Xinhua News Agency on Friday, April 11, 2014. "This is to confirm the final design plan're ready to launch by the development," he added. 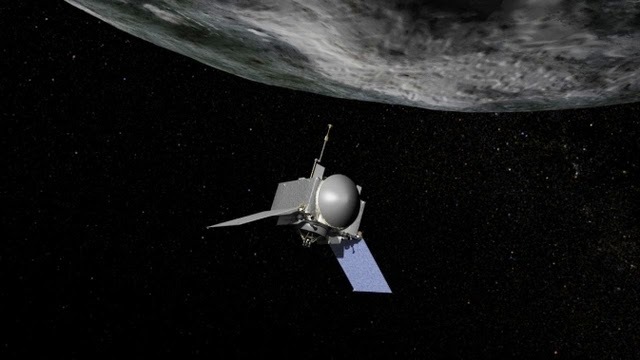 OSIRIS-REX is scheduled to launch in fall 2016, and in the year of 2018 will met the asteroid Bennu. The spacecraft will carry five instruments to evaluate Bennu surface from distance. Then, the spacecraft will be collecting the samples of at least 60 grams (2 ounces), after a year lurking asteroids. Next, the sample will be taken back to Earth for scientific study in 2023.